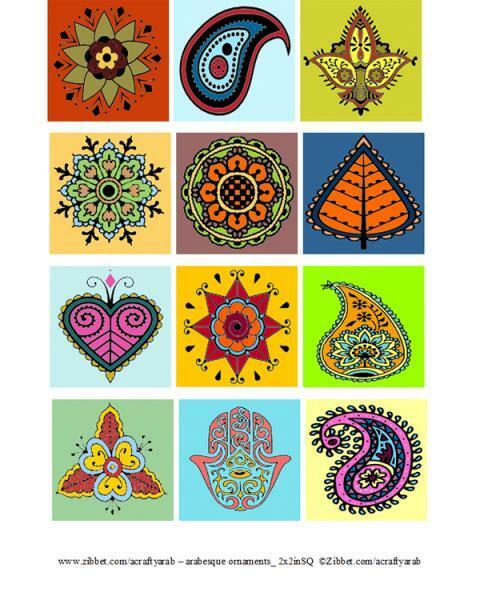 I created these arabesque images from henna/mehendi designs of my culture that can be used for various craft projects. 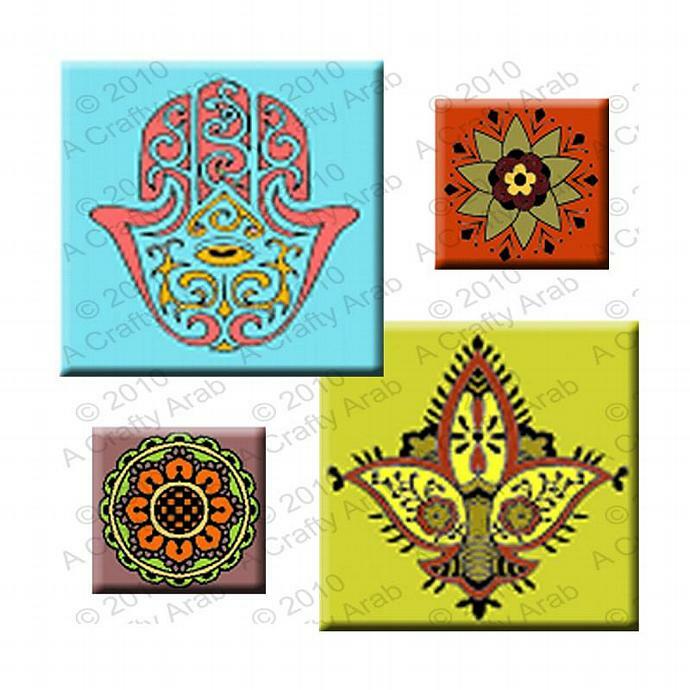 These 1" square tiles will be mailed to you via a 8" x 10" size file in 300 dpi High Resolution JPEG format. My copyright is only on the images on this page. It will not appear on the file I send you. Please let me know if you'd like to receive these ornaments in a 2" size instead. Since I created these designs myself, I still have the copyright to them, so it would be really cool if you don't mass produce (500+) items with them or sell the designs as your own. 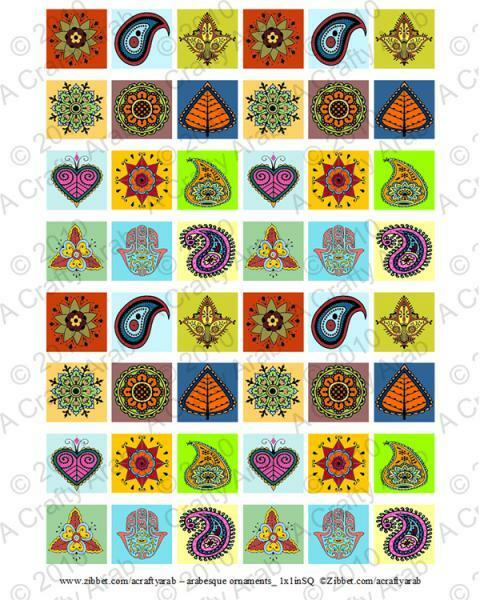 You can use them for personal use (including selling craft items with these designs on them). If you have a need to create 500+ mass production items, or need an unlimited use on a non-extended basis, contact me and we can do a license agreement.